Our board-certified urologists are focused on expert care for your most pressing medical needs. For the most advanced, specialized urologic care, schedule your appointment today. A strong patient/physician relationship is what Dr. Modder values most as a doctor. You can expect a thorough evaluation of your problem and understanding of its significance. Dr. Modder listens to your concerns and works together to find treatment options that will fit your needs. 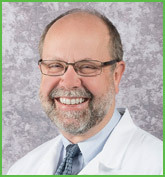 In addition to being a general urologist, Dr. Modder’s clinical areas of expertise include erectile dysfunction, male sexual health and male infertility. Dr. Anderson’s clinical areas of expertise include prostate disorders, evaluation and treatment of urinary disorders, and kidney stones. 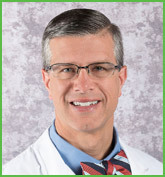 Dr. Anderson performed the Fox Valley’s first hand-assisted laparoscopic nephroureterectomy (removal of kidney, urine tube, and bladder cuff) at Theda Clark Medical Center in 2001. Dr. Atassi’s clinical areas of expertise include evaluation and treatment of urinary cancers, diseases of the prostate, and kidney stones. Dr. Atassi has a special interest in pediatric urology and female incontinence including urinary stress incontinence and urge incontinence. 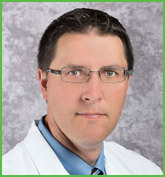 In 2001, Dr. Atassi was selected as the best urologist in the Fox Cities as reported in Fox Cities Magazine. 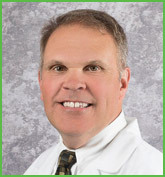 Dr. Higgins’ clinical areas of expertise include urologic cancer, kidney stone disease, and enlarged prostate. He employs a variety of state-of-the-art surgical modalities such as cryosurgical treatment of the prostate and kidneys, laser treatment for enlarged prostate, InterStim therapy for overactive bladder, and outpatient procedures for urinary leakage. Dr. Higgins has also had training in advanced robotic surgery (da Vinci Surgical System) used for treatment of prostate cancer (prostatectomy) and treatment for symptomatic ureteropelvic junction obstruction (pyeloplasty). Dr. Kolbeck’s clinical areas of expertise include prostate disorders, kidney stones, and evaluation and treatment of urinary incontinence. 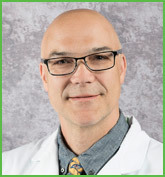 Dr. Kolbeck has a special interest in performing laser surgery, minimally invasive procedures for male and female incontinence, and radioactive seed implants for prostate cancer, all of which are outpatient procedures. 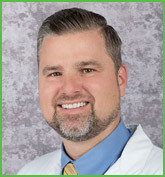 As a general urologist, Dr. Lawatsch is trained to evaluate and treat all aspects of urologic disease, including prostate cancer, benign prostatic hypertrophy (BPH), kidney cancer, kidney stones, bladder cancer, erectile dysfunction, female incontinence, and pediatric urologic diseases. 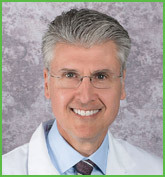 Dr. Lawatsch’s clinical areas of interest include laparoscopic and robotic surgery for kidney and prostate cancer as well as minimally invasive surgery for female incontinence and pelvic prolapse. 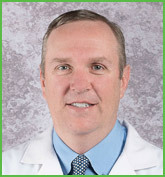 Dr. Murphy’s clinical areas of expertise include diseases of the kidney and prostate. His interests also include laparoscopic cryo-ablation of kidney tumors, erectile dysfunction, and endoscopic management of kidney stones. 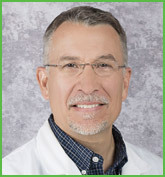 Dr. Vlach’s areas of clinical expertise include urologic oncology (cancer of the kidney, bladder, prostate, and testicle), diseases of the prostate (including laser surgery), incontinence, and kidney stones. He has a special interest in laparoscopic surgery, including the use of da Vinci Surgical System for robotic-assisted laparoscopic urologic procedures. With a drive for excellence and passion for perfection, Dr. Vlach is pleased to be working in an area of medicine in which there are proven procedures that can treat and cure patients. Dr. Tait Fors became a urologist to help people regain their health. He has extensive training in the latest procedures, and his clinical areas of interest include laparoscopic and robotic surgery for kidney and prostate cancer, pediatric urology, and incontinence. Dr. Fors finds it incredibly rewarding when he can improve or enhance the quality of his patients’ lives. The nurse practitioners at Wisconsin Institute of Urology represent over 45 years of combined experience in urologic care. As part of being top-notch providers, our nurse practitioners focus on the whole person when treating specific health problems and strive to educate patients and families on the effects these problems may have on them. Along with delivering high quality personalized care when diagnosing and treating our patients, Wisconsin Institute of Urology NP’s help our physicians in other ways as well, such as assisting in surgery, ordering and interpreting diagnostic tests such as labs and x-rays and prescribing medications. NP's are an integral part of the team at WIU. Find board-certified urology care at Wisconsin Institute of Urology. Call us at 920-886-8979 or toll-free at 877-897-7747, or use our convenient Request an Appointment form. Our physicians, nurse practitioners and staff welcome patients from Appleton, Neenah, Oshkosh, Waupaca, Shawano, New London, Ripon, Fond du Lac and surrounding communities.